Each driver is as different as the car, truck, or motorcycle they drive. 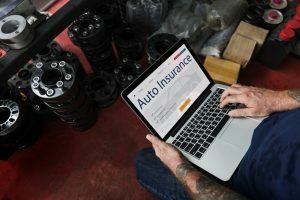 So why should you accept a “cookie-cutter” policy from your auto insurance company? At Falcon Insurance Services, we believe in supplying our clients in the San Antonio, Texas area with a policy explicitly designed for their individual needs. Our expert auto insurance agents will craft a policy for you, by you. We’ll let you know the type of coverage we offer and you can choose what fits you and your personal situation best. We promise to provide the best auto insurance policy at the best price, guaranteed. Hopefully and ideally you’ll never actually need your auto insurance policy when you choose Falcon Insurance Services. But if you ever do need to contact us and make a claim if you’ve been in an accident or are the victim of vandalism or theft, trust that the expert auto insurance agents will kick into gear right away and start our speedy and efficient claims process. Each of our auto insurance agents lives and work in the San Antonio, Texas area and are each highly skilled, licensed, and certified. You’ll never be treated as a simply a policy number, rather, as a member of our family. Our customer service is exemplary. Are you shopping around and searching for the best auto insurance in the San Antonio, Texas area? Look no further as Falcon Insurance Services vows to provide you with the best most affordable auto insurance in the state. For a free quote call us today at (210) 647-7112 and a friendly auto insurance expert will help you right away.